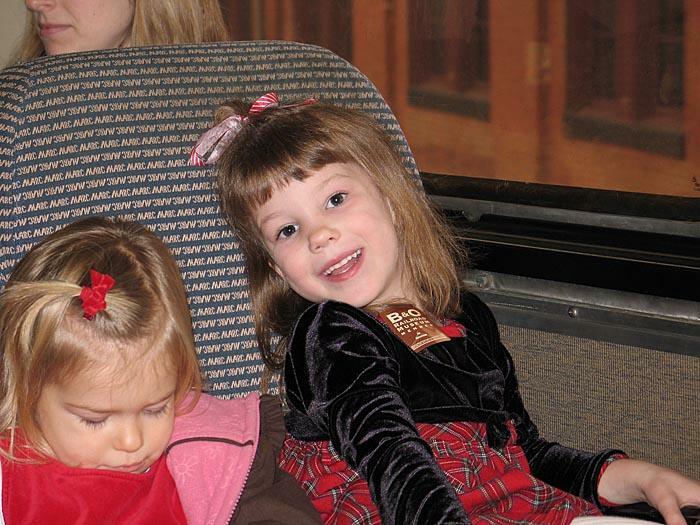 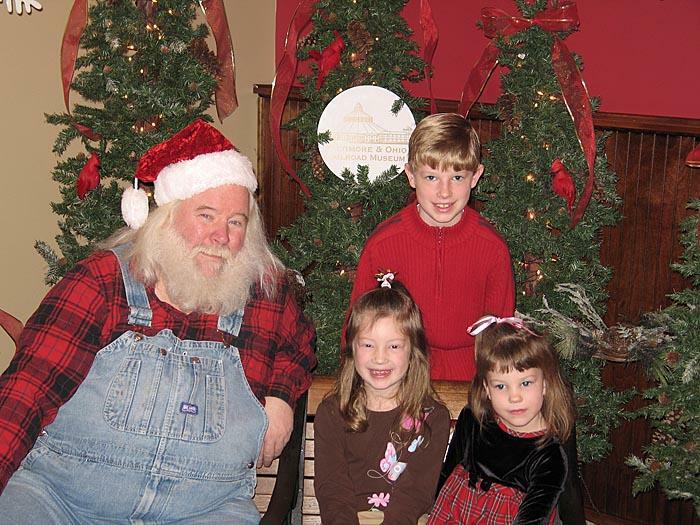 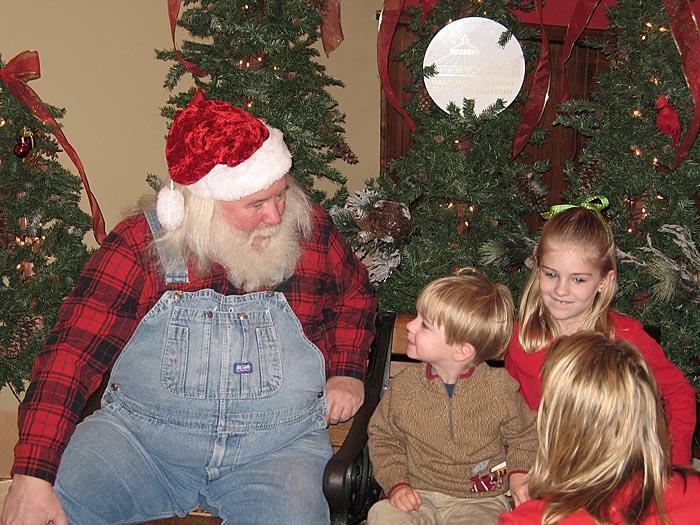 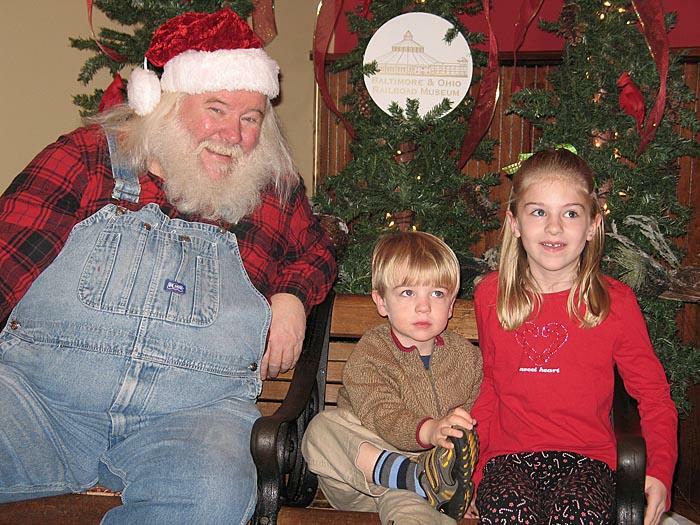 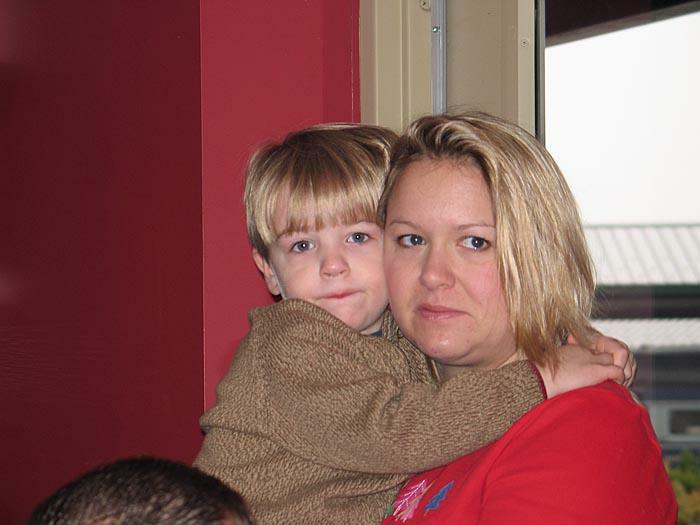 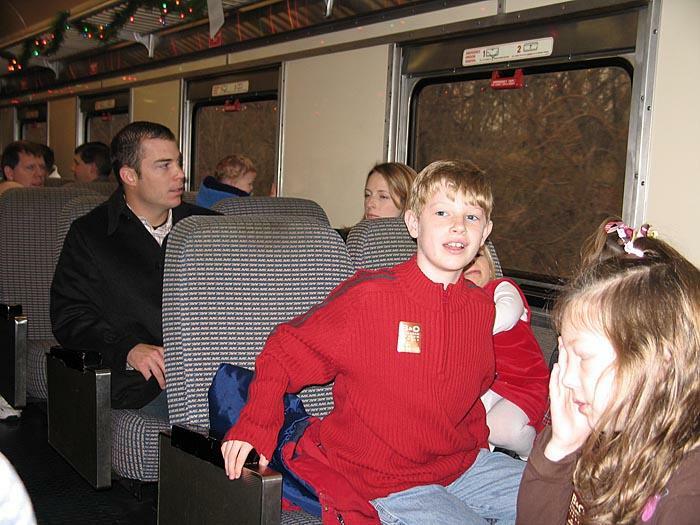 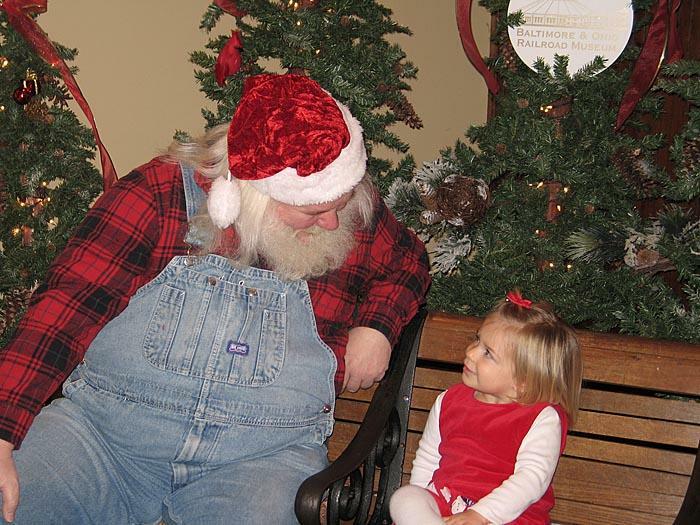 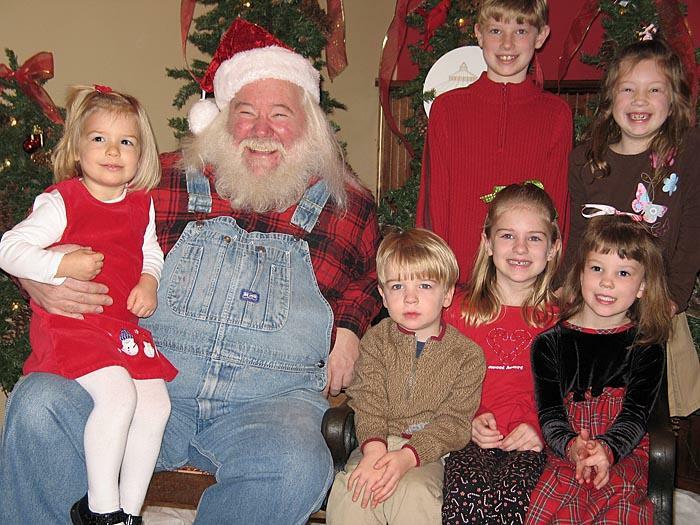 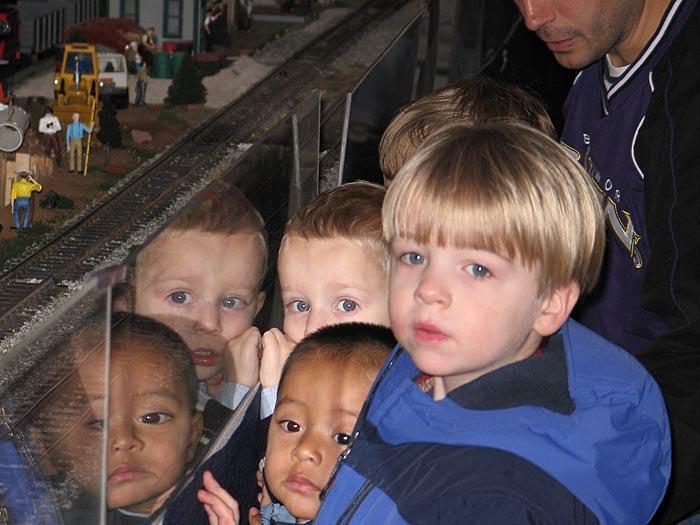 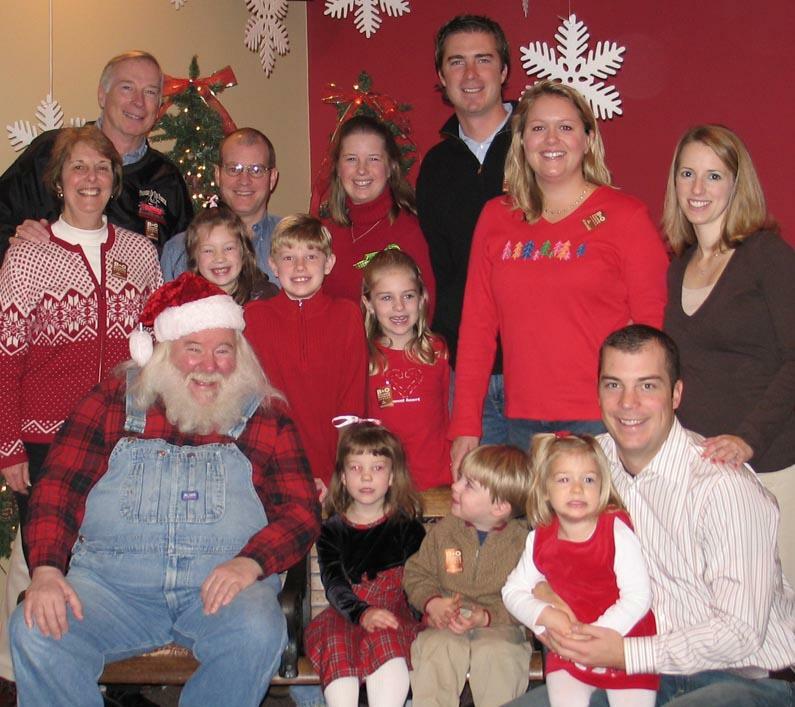 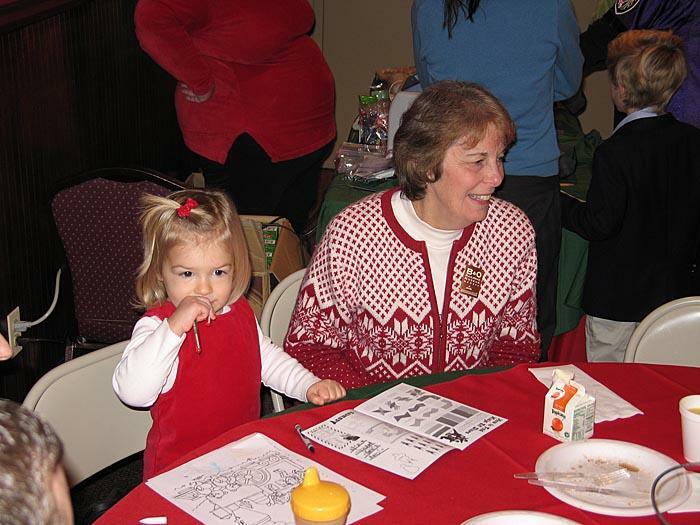 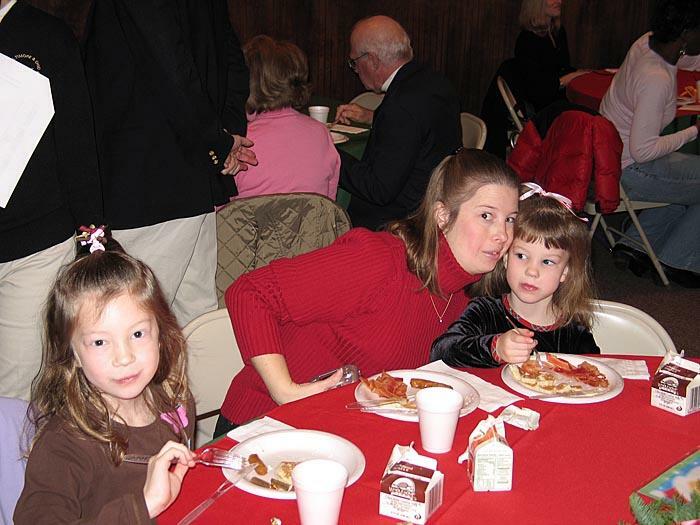 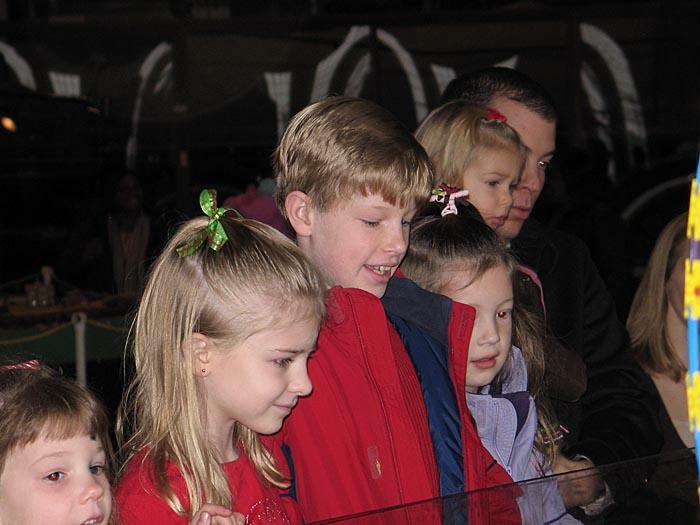 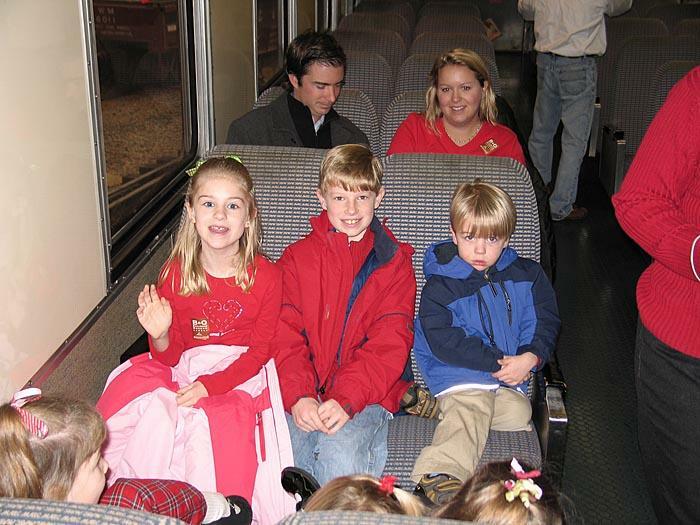 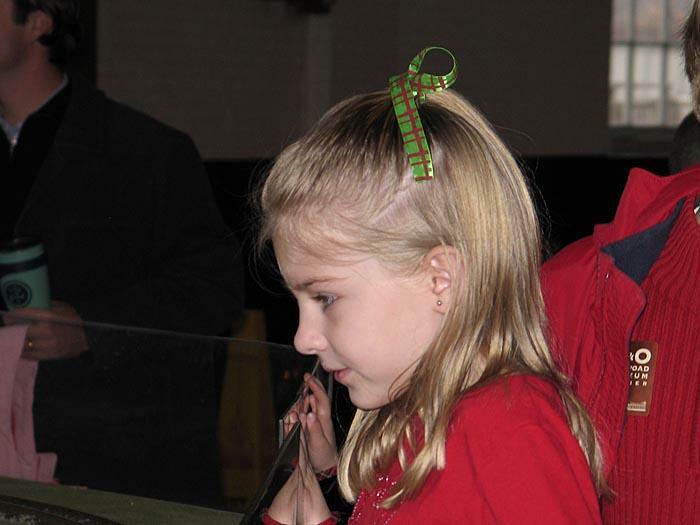 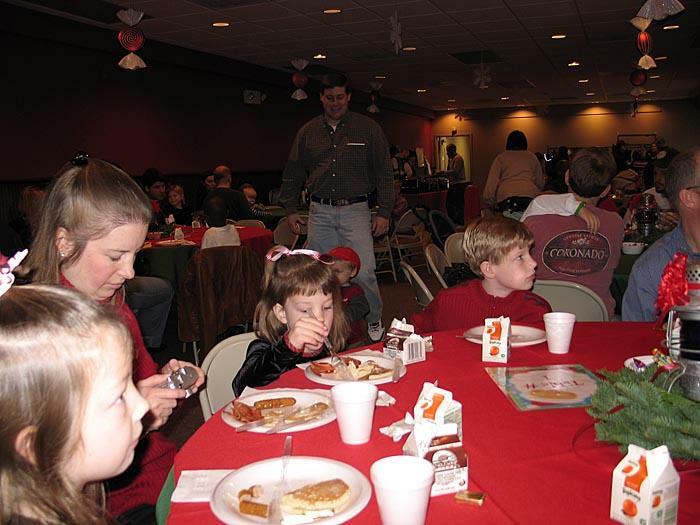 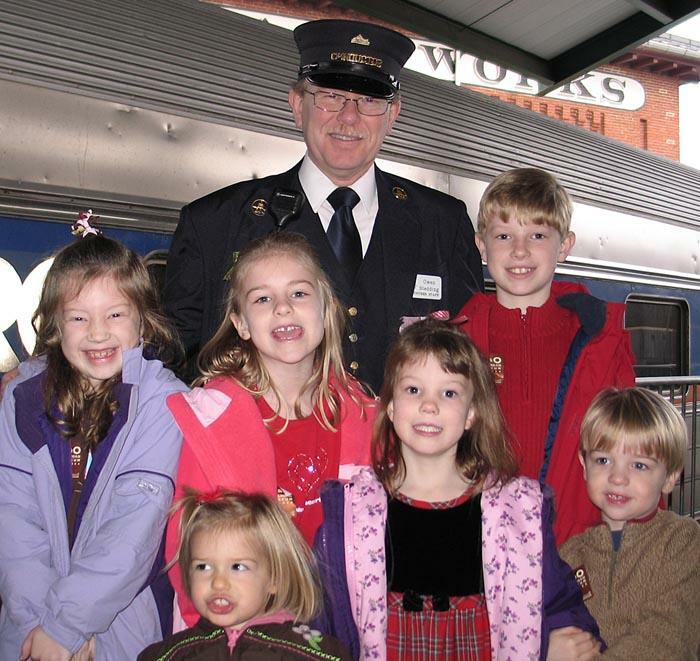 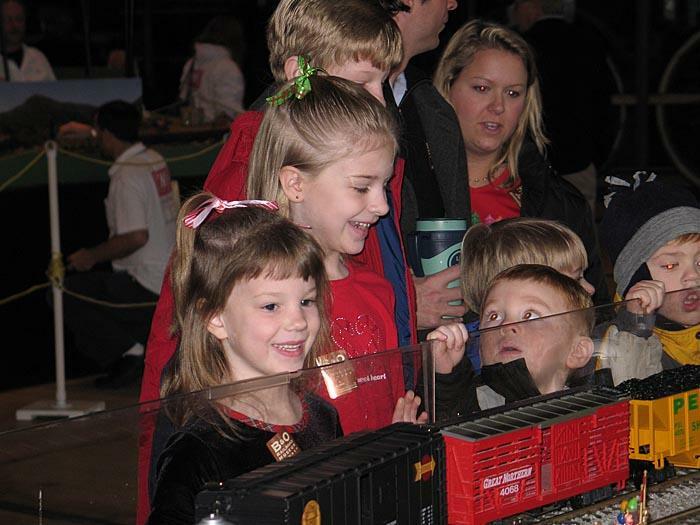 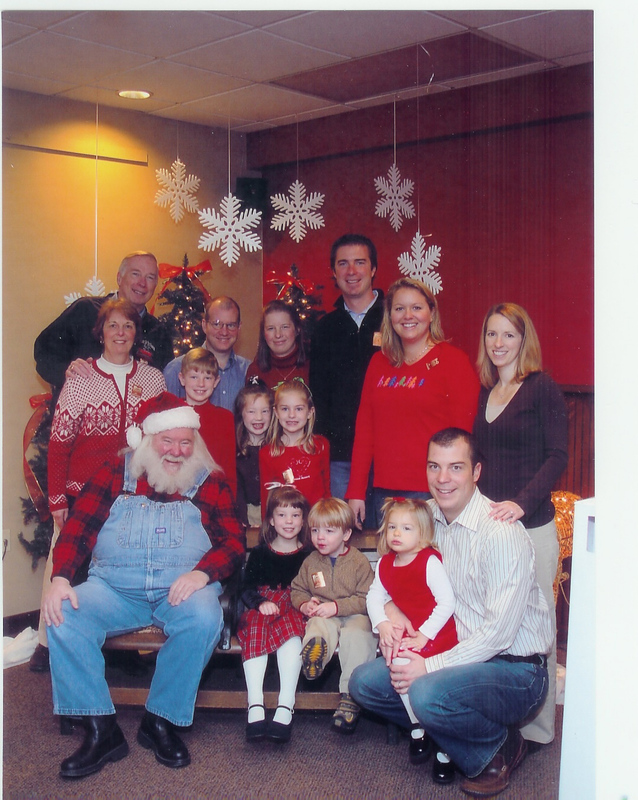 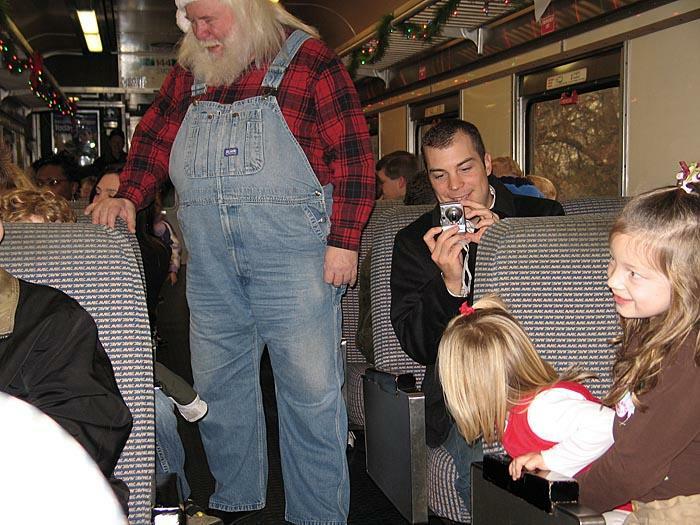 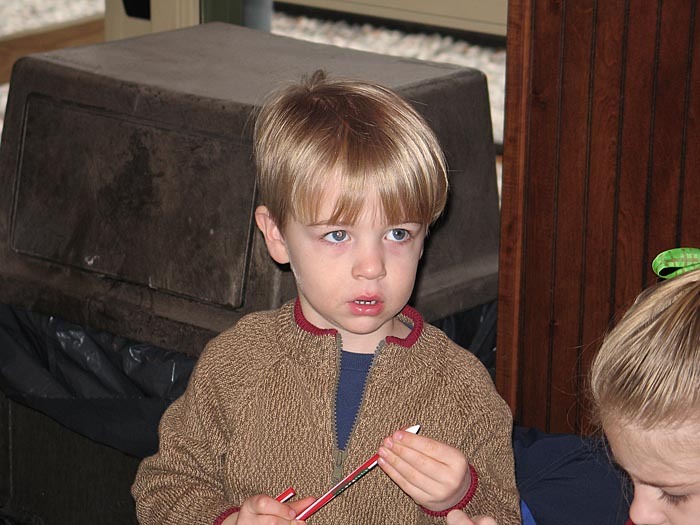 On Sunday December 9th the Kinnears and the McGuires went to have Breakfast with Santa at the B&O Railroad Museum. 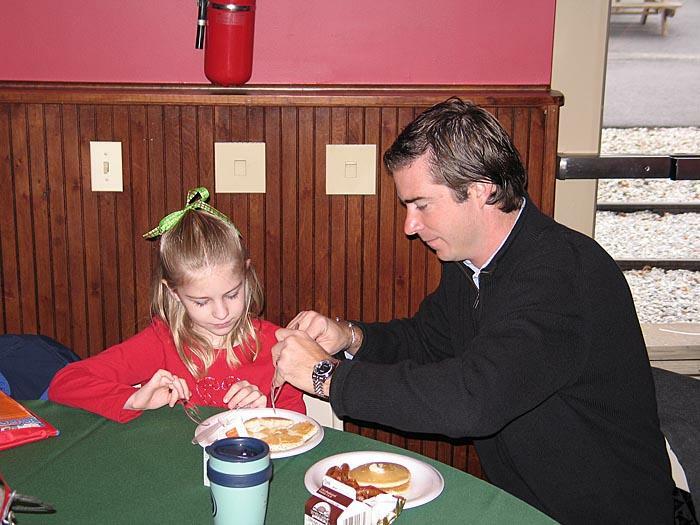 It was a pancake breakfast but we got more bacon than pancakes. 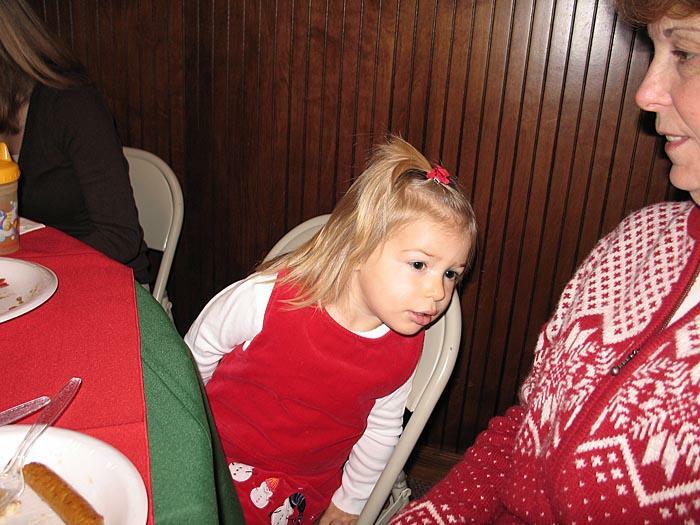 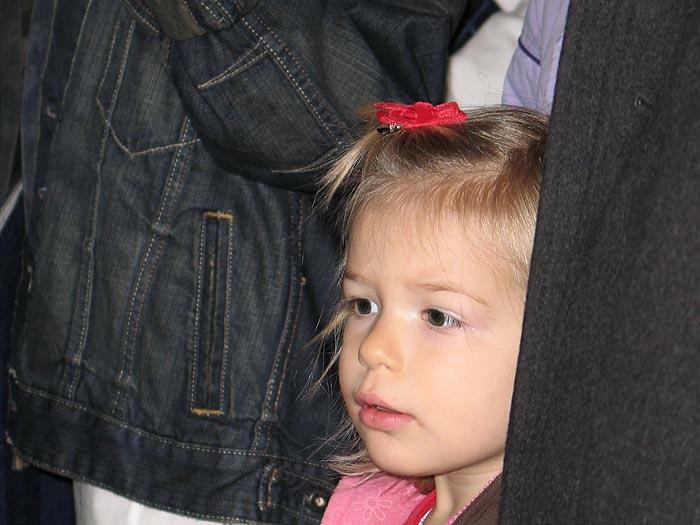 Emily peeks around Grandma to see Santa. 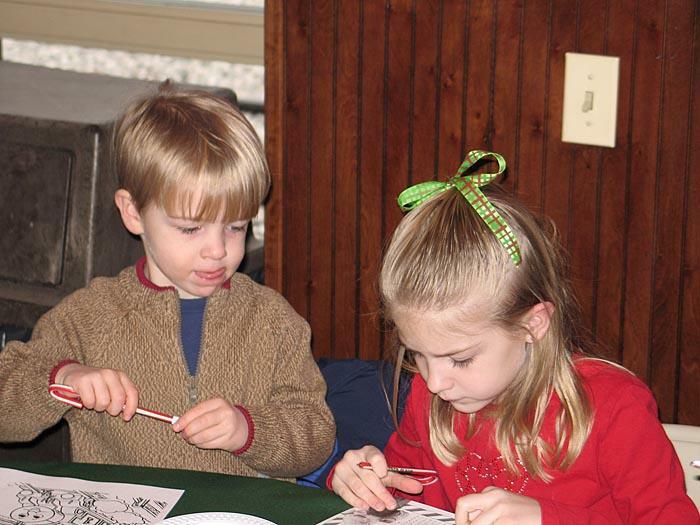 There were plenty of crafts to do while waiting for our turn with Santa. 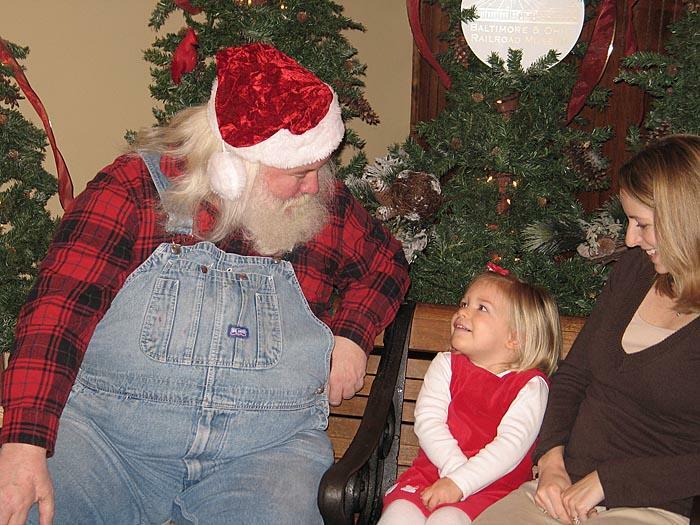 Then it was time to tell the big man what we wanted for Christmas. 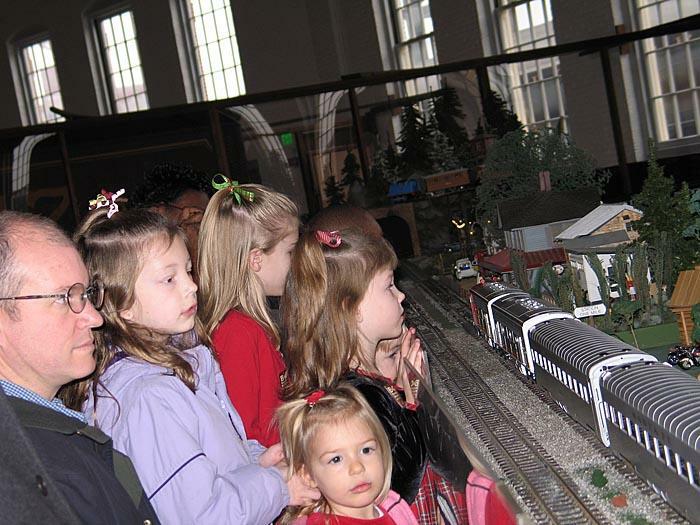 After the breakfast, we took a look at some of the model railroad layouts. 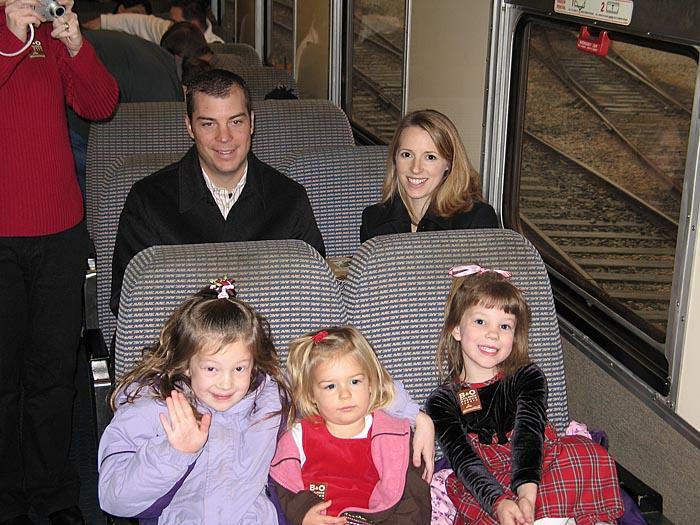 Then it was time for the train ride. 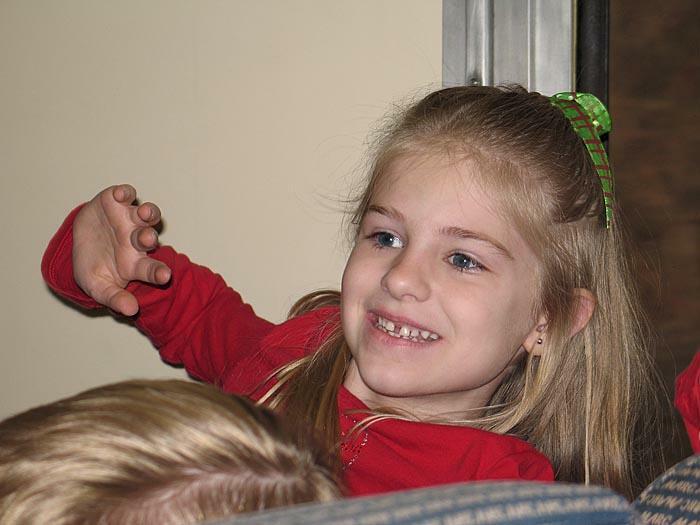 Emily again peeking for Santa.